A fantastic business opportunity would have a low initial investment, huge profit potential, and minimum overhead. Apps are a great business opportunity because they meet all these requirements. All you need is an idea. Apps do not need a large investment to start. You can get an app written for $2,000 to $5,000. Your cost to set-up a corporation or LLC would be another $1,000. Therefore, for a total investment of approximately $4,000 to $7,000, you have your new app business up and running. If you want to have a game app, you can re-skin a game app for $200 to $800. There are many companies on the Internet that will do this for you. Two companies that sell the source code and re-skin it include Chupamobile and Reskin Games. Of course, you also need to market it. By using social media and networking, you could do it without spending any money on advertising. As your business grows and becomes profitable, you could start an advertising campaign. One company that specializes in social media marketing is the Frackle Media Group. Apps have huge profit potential. Look at Angry Birds. 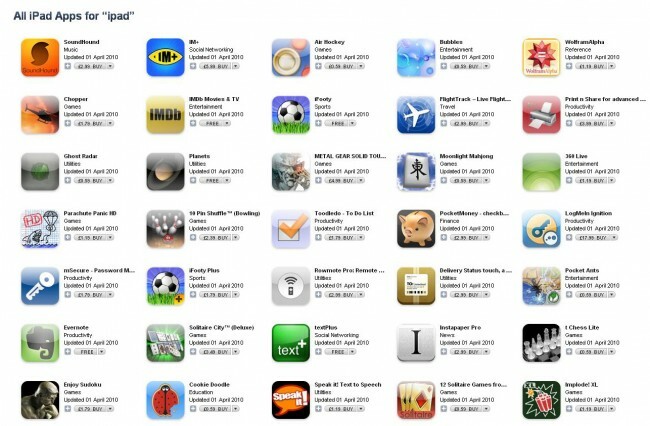 This is an app that appeared in 2008 and made over $7 million on the downloads alone. It is now putting the characters of the game on TV, merchandise, and in movies. Another very profitable app is Bejeweled 2, which debuted in 2004. It is a matching puzzle video game and has over $12 million in sales. Other million dollar apps include Doodle Jump ($4 million), Pocket God ($3 million), Flight Control ($3 million), Skee Ball (2.5 million), Flick Fishing ($2 million), and iFitness ($4 million). Just to name a few. A new app that was just introduced a few weeks ago and is set to be another million dollar company is the Gotta Potty app. The Gotta Potty app locates the nearest restrooms and uses the phone GPS to take you to the one you select. It rates the restrooms as very clean, clean , or needs service. It may even send you a discount offer to use when you get to the location. When introduced, it had over 100,000 locations throughout the United States. It is a free app in both the Play Store and app store, so it will be interesting to see how many people download it. The app is easy to use and works well. It sells advertising to businesses for income. While it does have banner ads, they are inconspicuous so it is not annoying. Will it be the next million dollar app? Only time will tell. Apps also have the advantage of low overhead. All you need is a computer, an internet connection, and a app host like Google or Apple. Of course, you will need to monitor and promote it, as well as keep records as with any business, but most businesses based on apps only require a few employees to keep it running. Now, all you need is an idea. You can create a new app like Gotta Potty, utilize an existing app and use it for another purpose, or you can take an existing game like Angry Birds and make it angry neighbors. Just make a few simple changes and you have a new, viable game idea. Considering the profit potential and low start-up costs involved, an app business is a wonderful opportunity for anyone who wants to go into business for themselves. You can do it part-time and still keep your current job. Then, when the profit starts building, you can quit your old job or keep it until you become the next app millionaire. Thus, apps are a great business opportunity for anyone who has a few thousand dollars to invest and wants to start their own business. 21 Responses to "Apps Are a Great Business Opportunity for Anyone"
i really feel very happy to visit your blog to read best interesting articles here.keep posting like this with more updates. I agree that the App Store is crowded and it is difficult to get noticed, but any business needs marketing and advertising. Frackle Media does a great job of designing and promoting your web site and business. The curriculum allows you to produce your own euphony lists, to destine the tracks you wish to hear to at any sentence, upload to the directory the euphony and but heed to your deary medicine. Wish the plan? Then you should download Deezer on Humanoid for free rightfulness now! Hotstar is, I think, the best number demand video streaming apps are available openly now for some time before the Doom. Famous India Private Limited creates this app. Hotstar is available for free download here your Android smartphone otherwise tablet according to the links to be Rewritten further.